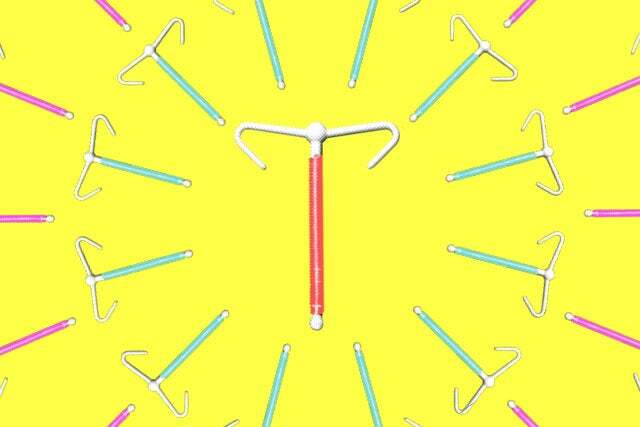 Could IUDs Solve Your Birth Control Woes? While the pill is still the most popular form of hormonal birth control (statistically speaking), it isn’t always the favorite in real life. Sure, some can pop it and go on their merry menstrual way. But, others have to deal with not-so-pretty side effects such as mood swings and weight gain, or you might even be the small percentage who aren’t the right candidate at all due to a family history of blood clots. In the past, condoms were your next best bet, but IUDs (a.k.a. intrauterine device) have recently made a big comeback. Thanks to their 99% efficacy rate, they may be a great alternative for those who are anti-pill, whatever the reason may be. As you probably already know, docs didn’t always advocate IUDs. They got a bad rap in the '60s and '70s, appropriately so. “IUDs were associated with pelvic infection and infertility,” says Rebecca C. Brightman, an OBGyn and clinical instructor of obstetrics, gynecology, and reproductive science at Mount Sinai. The main cause of concern: the Dalkon Shield. “It was the one that caused all the uproar,” says H. Beatrice Im, an OBGyn at Weill Cornell Physicians in New York City. “It was shaped sort of like a prehistoric roach — it looked like a beetle with all these pointy things jutting out of it, and it caused damage to the uterus that was believed to be associated with infertility.” The Dalkon Shield was pulled from the market — and women’s vaginas. “Now, IUDs are safer and easier for doctors to monitor,” says Dr. Im. Sort of like how your tampon has an exit string, so do IUDs (although it doesn’t stick out of your body, but stays in the cervix), which makes locating — as well as removing them — easier for the physician. Currently, there are three IUD options: ParaGard, Mirena, and Skyla. ParaGard, which has been on the market for about 25 years, is hormone-free, can last for up to 10 years, and uses copper to prevent pregnancy. Mirena, the most popular IUD, contains some progesterone — a hormone that is also found in some forms of the pill, too — is meant to be kept in for up to five years, and like copper, “makes the uterus inhospitable for implantation,” says Dr. Brightman. (“It can create a thinner uterine lining and as a result, lighter and less painful periods,” she explains.) Another benefit: “Mirena can cause cervical mucus to thicken, which not only can make implantation of sperm more difficult, but also prevents sperm from getting into the uterus,” says Dr. Im. The most recent IUD to hit the market is Skyla, which is “sort of like Mirena’s baby sister,” says Dr. Im. Because it contains a lower dose of progesterone than Mirena, it is only meant to last three years, and its shape is a smidge smaller than its predecessor, so it can fit better in women who haven’t had children yet or naturally have a small uterine cavity. 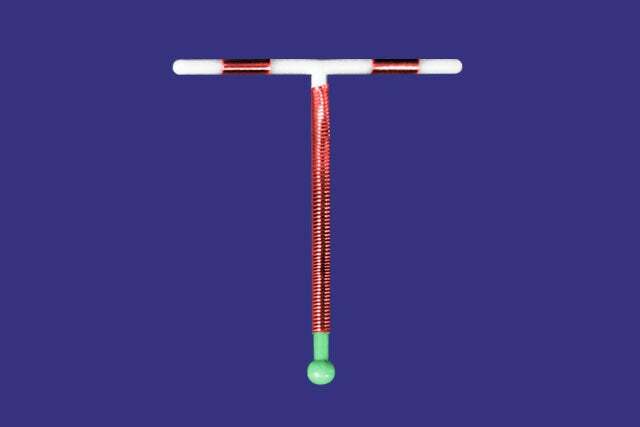 What you can expect all three IUDs to look like: picture a teeny-tiny, plastic, T-shape device that essentially just hangs onto your uterine lining. Oh, and to get it up there, you’re going to have to get a little dilated, which, if you’ve never had a baby, could be, well, uncomfortable (to say the least). “We have to minimally dilate the cervix in order to place the IUD into the uterine cavity,” explains Dr. Brightman. While you can get it put in anytime, doing it during your period could make the experience slightly better — and once it’s out, your uterus and your period should be back to normal immediately (although both experts say that waiting one full cycle and seeing your physician before getting pregnant is recommended). And, Dr. Brightman says, “There are some women who ‘reject’ their IUDs.” Again, typically those who naturally have killer PMS symptoms such as very heavy bleeding and cramping that is not controlled with typical over-the-counter treatments. Then there’s also the small percentage that can develop a pelvic or uterine infection with the IUD in place, which of course, means that they should have it immediately removed, she says. Dr. Im has all her patients do an ultrasound immediately after placing an IUD to make sure all is well; and to return for a follow-up about a month later to double check that the IUD is still sitting where it should be, that there is no sign of infection, and patients are discomfort-free. What you might feel day one of getting an IUD: cramping, like you do pre-period. This sensation could continue for the next few days, although Dr. Im says that some patients could experience it on and off for up to around three months. She finds that most patients say they subside after a week or two, but see your doctor immediately if you experience severe pains, fever, or bleeding. Two weeks after insertion is prime time to watch out for any pelvic infection, that while not common, can occur. And, just like with starting any new pill, you want to be wary for about three months to see how your body adjusts to an IUD and for at least two weeks after you first get it in to be sure it can, well, do some stellar sperm blocking. Why would an IUD not be your best pregnancy preventer? If you have an abnormal uterine cavity such as any uterine malformation, underlying bleeding issues, if you are or want to be pregnant in the near future, or if you have a history of breast cancer (specifically the progesterone receptor-positive kind) or severe fibroids (as they could push on your uterus if they continue to grow and shift the IUD). And, regardless of if any of the above is or isn’t the case, having a consultation with your doctor to find out if an IUD is the right fit for you — and your uterus — is essential. Have you had an IUD? Did you like it?